Many vendors, analysts and executives seem to have a different terms for predictive elements in their marketing and analytics. Predictive marketing can be essential to a team looking to gain actionable insights from customers' past behavior in order to provide content that resonates with them and drives loyalty. Predictive Analytics covers various mathematical & statistical techniques that automatically find patterns in data & make predictions about the future. In marketing, predictive analytics changes the way we think about customer relationships and helps you to be more data driven. 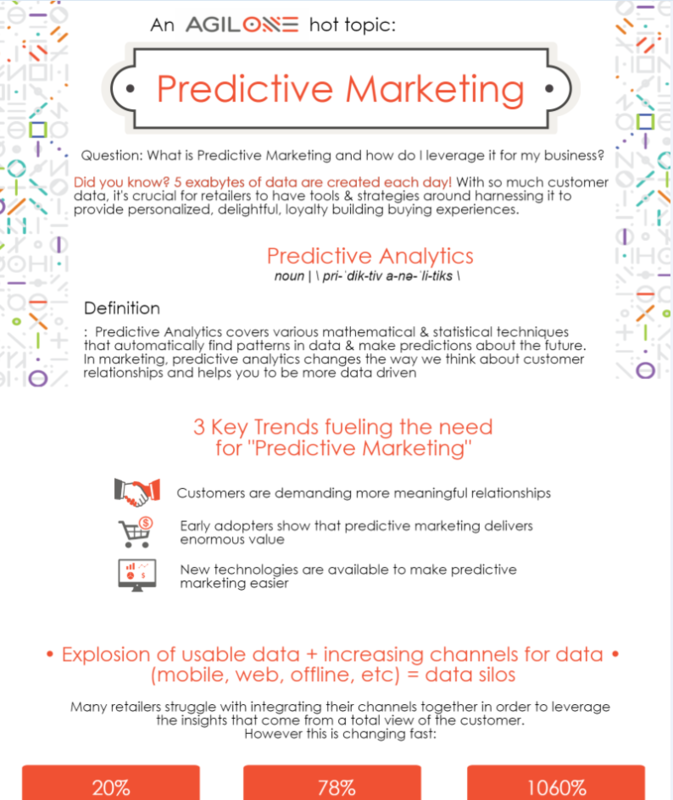 3 Key Trends Fueling the need for "Predictive Marketing"
We hope you enjoy the insights below! If you are interested in speaking with our sale-steam about predictive marketing for your business, request a demo/personal consultation here. Here's a preview, sign in to see the full insights, download and share! Can't get enough of these hot topics? Take a look at the benefits of leveraging a single view of your customers in our newest hot topic post here! How do you use predictive marketing and analytics in your company? We would love to hear from you in the comment section below.